Who would’ve thought that technology would have advanced to such a manner where software will prevent cellphones from functioning normally – in this case, TXTBlocker will disable texting and other functions whenever a user is driving. 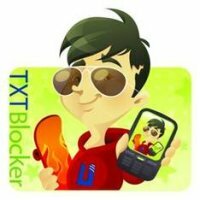 TXTBlocker is highly customizable, enabling parents and employers to make sure handsets can selectively disable texting functions, block certain numbers or only permit incoming and outgoing calls to preset “safe lists” or emergency numbers. It will rely its proprietary velocity and geographic algorithms that prevents dangerous use when driving, while one can also arrange for ‘safe zones’ which will prevent distractions around focused areas including schools or worksites.